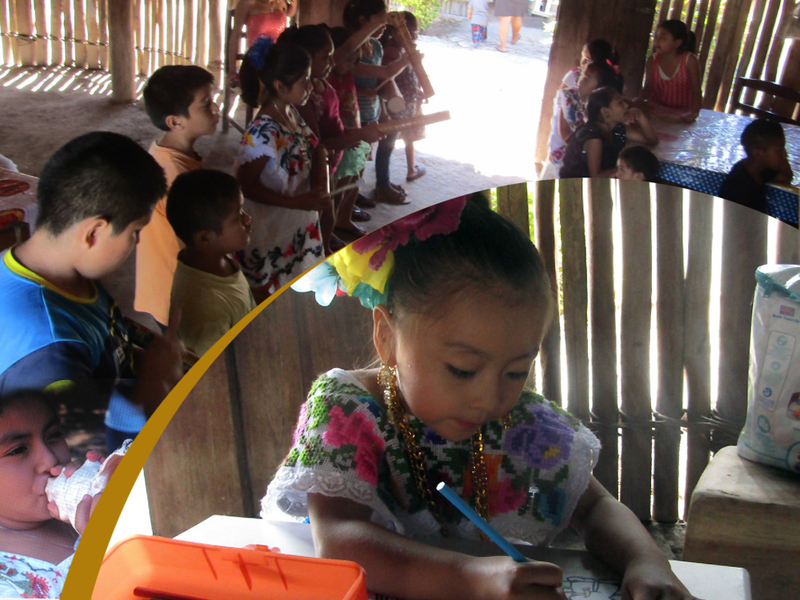 The objective of this project is to nourish the continuity of the Mayan culture and traditions through playful cultural sessions with Indigenous children so that they may feel proud to be heirs of the Mayan culture and inspired to maintain their traditions and language. Workshops include traditional dance and ceremony; use of sacred instruments such as the conch shell and tunkul; Mayan history and calendar; Mayan language; customs and stories of the elders; music and singing with a choir that sings traditional Mayan songs; rites and ceremonies; and the planting and preservation of traditional plants. 2017 saw the participation of 53 girls and boys from the communities of Kaua and Tinum in the eastern Yucatán, as well as the involvement of 83 families from the surrounding communities. The pressures of the modern world and way of life continue to threaten the traditional culture of the Mayan people. Through this project, children learn to be the proud carriers of their traditions and guides for the future.